The true “heavyweight” should be God. To glorify God is to recognize His grandeur, his majesty, His Omniscience, His Omnipotence, His Omnipresence. Ryken goes on to say “The Creator God is so heavy that he has left his imprint on the universe like a work boot in wet cement.” When we read the Psalms we get a glimpse of the “heaviness” of God. 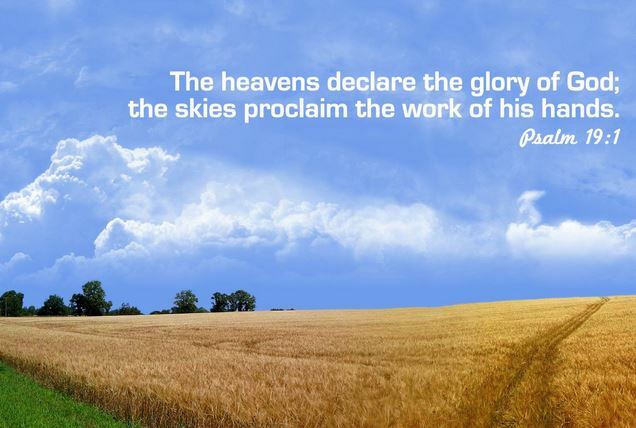 Psalm 19:1 says, “The heavens declare the glory of God; the skies proclaim the work of his hands.” Psalm 57:11 says, “Be exalted, O God, above the heavens; let your glory be over all the earth.” Take a moment this week and notice how great God truly must be and let’s have God get “heavier” in our lives.